Get ‘em while they’re hot, folks! For the next few weeks, Padron peppers are in season. They’re mostly mild, but one in every twenty peppers packs an extra spicy punch! Pick them up at your local farmer’s market or specialty grocery right now. They’re a late summer delicacy, and they take just a few minutes to prepare. 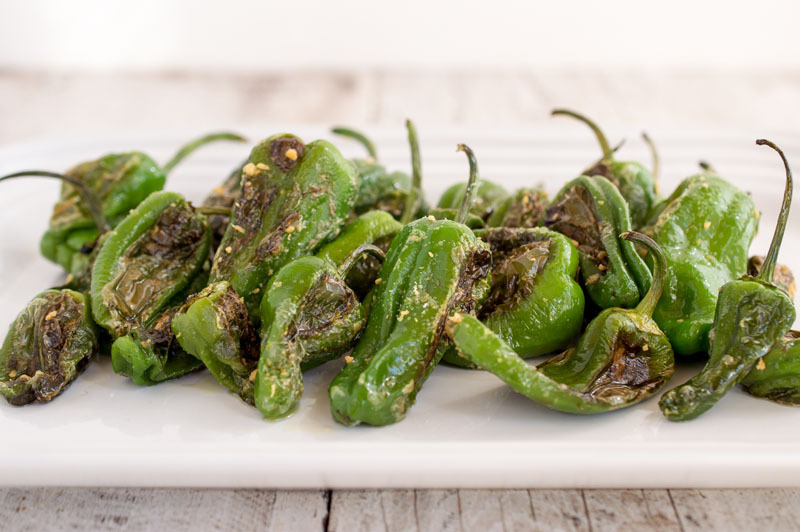 Padron peppers are the best appetizer ever — no utensils are required since their stems make great toothpicks! Sauté them whole in some Garlic Gold® Oil until they are blistered and golden brown, then sprinkle lots of our Sea Salt Nugges on top. The peppers look beautiful on a simple serving plate, and best of all, you can eat everything but the stem. Enjoy! 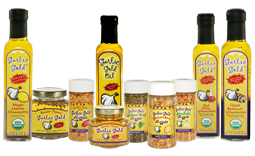 In a large (12-inch) cast iron or stainless steel skillet, heat the Garlic Gold® Oil over medium heat. When the oil is hot and fragrant, add the peppers to the skillet. Sauté them for five minutes, shaking often to ensure that they get seared on all sides. Remove the skillet from the heat, then sprinkle Sea Salt Nuggets all over the peppers. Transfer to a serving platter and serve hot.